Regal Court is located off Balestier Road in Whampoa estate where food lovers can enjoy a wide selection of local dishes at the Singapore "food street". 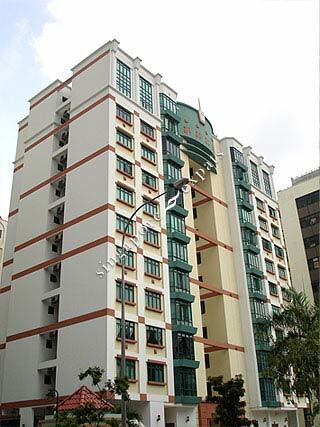 Other amenities like wet market, supermarket, clinics, shops are all located in Whampoa estate. Regal Court is also near to shopping centres like the Balestier Plaza, Novena Square and United Square. Regal Court is accessible by Pan Island Expressway (PIE) which leads to all parts of Singapore. Residents can either take a short bus ride to Toa Payoh and Novena MRT Station. Like its conveniet location. Doorstep to foodcentre, market, threatre. This has the rustic local Singaporean feelT. he interior apartment layout is spacious. It is also very quiet. The central location and good transport network - many direct buses straight into city and mrt station. A wide variety of food within doorstep. Excellent place to experience the Singapore way of life.